Do you recognize the name, address, and domain? If not, be suspicious. Does the email evoke an emotion, such as concern, desire, or curiosity? We suspend disbelief when we experience emotion, and phishing emails use this against us. What does the message want you to do? Click a link? Download an attachment? Do neither until you are confident of the message’s legitimacy. PhishLine’s simulation and training content is easy to use and is fully customizable. You get a wide variety of materials: Choose from hundreds of easy-to-use simulation templates, landing pages, risk assessment surveys, and engaging multi-lingual training content in the online PhishLine Content Center Marketplace™. Materials can be used individually or integrated into simulated phishing and social-engineering campaigns. New simulation and training content is added daily, to reflect the most recent threats and training resources available to help protect your business. Back-end analysis capabilities lead to a unique and powerful assessment tool that quantifies risk by impact and likelihood scores. You can objectively evaluate your organization’s human-risk factor based on meaningful feedback from your employees. With PhishLine, there’s no need to recycle the same old training and testing materials. The Content Center Marketplace is constantly updated by security experts to reflect the newest threats and the training resources available to protect your business. Engage employees–and keep their interest–with a wide variety of choices and materials designed to fit your corporate culture. 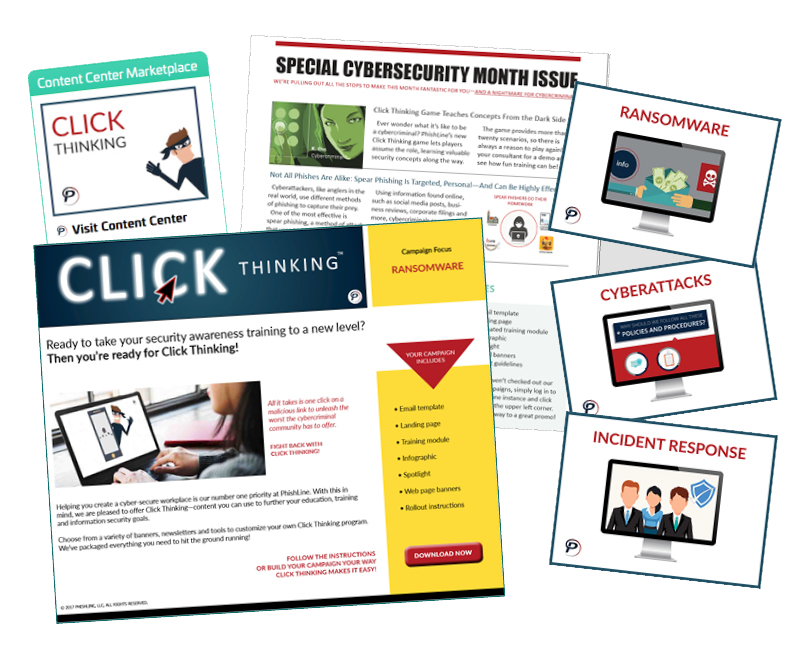 In addition, PhishLine provides Click Thinking™, a monthly bundle of content updates. Each update is aligned around a hot topic, and includes a new training video, email template, and landing page. A monthly newsletter, infographic and intranet content also help keep your training program fresh and on topic. There’s no need to piece together your curriculum. PhishLine experts have created phishing tests—from methodologies, to lures, to landing pages—that complement the content of our partners’ training materials. This means there is one style, one message, one way to make things happen from start to finish. Providing a fully-integrated, social-engineering solution saves your business time and money. Execute consistently to stay ahead of hackers. The PhishLine Workflow Subscription can save you time while improving your address book accuracy. PhishLine can automatically merge data from multiple sources, eliminating the need to manually export and import address books for each employee. 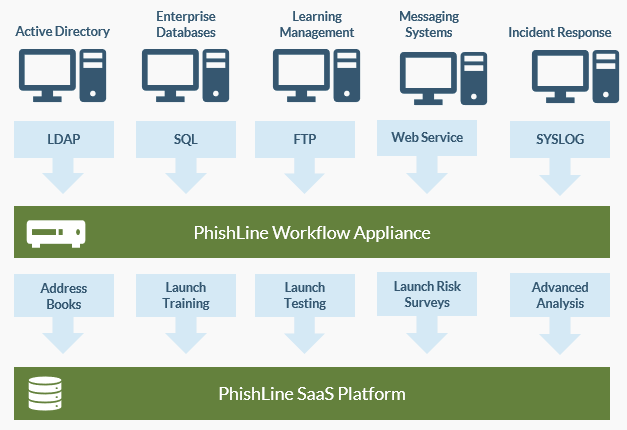 The PhishLine Workflow appliance can also merge risk-based user attributes from other applications and databases and then use this information to trigger testing and training campaigns based on events. For example, you can integrate PhishLine into your HR system to automatically trigger a “new hire training campaign” for new employees. By integrating with third-party databases such as LDAP, PhishLine can automatically trigger the delivery of security awareness content based on actual events. For example, a simple password reset request to the help desk can now become an immersive moment in which users can receive training and testing to ensure they are applying best practices. No email defense can protect against every email threat one hundred percent of the time. And when malicious email ends up in a user’s inbox, you need to address the problem quickly. Slow, inefficient manual incident response processes too often allow the attack to spread further. Barracuda Forensics and Incident Response automates incident response and provides remediation options to address issues faster and more efficiently. Admins can send alerts to impacted users and remove malicious email directly from their inboxes with a couple of clicks. Discovery and threat insights provided by the Forensics and Incident Response platform help to identify anomalies in delivered email, providing more proactive ways to detect email threats such as email security awareness and phishing simulation training. 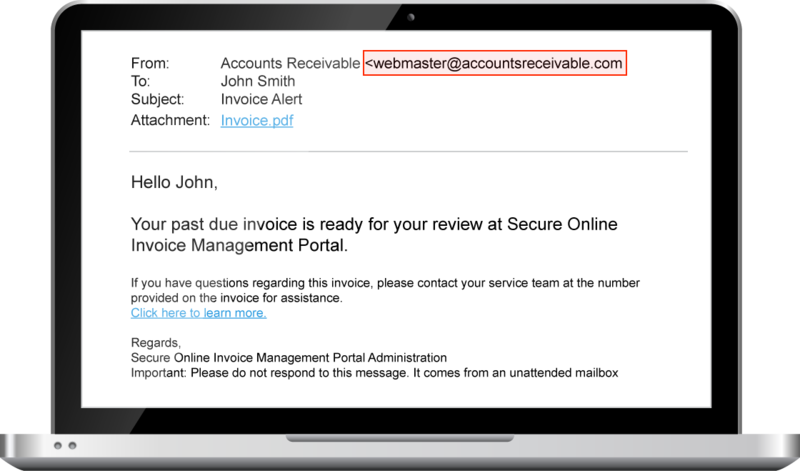 Barracuda Sentinel uses artificial intelligence to filter phishing emails. Barracuda Essentials adds comprehensive email security, data loss protection, archiving, backup and recovery of every email and file. Email Security Gateway is the perfect fit to protect your network on-premises and in the cloud.